Looking for a new or used Chevy? 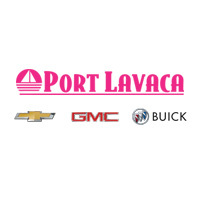 Port Lavaca Chevrolet Buick GMC has it all! We pride ourselves on keeping a large and current inventory. Check out the Silverado 1500, Camaro, Tahoe, Suburban, and the Equinox. If you’re looking for a Buick, look no further! We love the Enclave, Encore, and LaCrosse. You can’t go wrong with a GMC. The Acadia, Sierra 1500, and Yukon are some of our favorites. You don’t have to take our word for it. Schedule a test drive and take out any car that peaks your interest. We are conveniently located at 1501 State Highway 35 S Port Lavaca, TX 77979 and we look forward to seeing you!